With the 2014-2015 football season in the books, Oregon football has begun its 2015-2016 campaign by gearing up for spring practices — training players to be in championship-caliber form. Important players such as OT Jake Fisher and CB Ifo Ekpre-Olomu’s departure from Oregon will be noticeable on the field next season, as they were the leaders of the team. 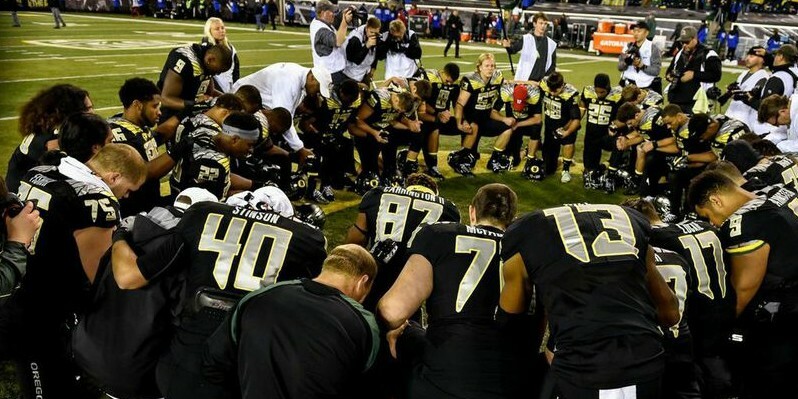 All in all, if the Ducks want to make another big run this coming season, different players will need to step up. Without further ado, here are three players who could not only display their talents to the Oregon coaching staff, but also establish themselves as ”go-to” guys on the team. With DE Arik Armstead off to the NFL Draft, the Ducks need a replacement in the defensive end slot. In my opinion, Kaumatule is our guy and can even be more dominating on the field than Armstead during his tenure with Oregon. The 6’7”, 290-pound behemoth has basically already earned his role at this position, but has not proven it. When spring practices officially commence, he will need to establish his presence as a great pass rusher and prove his worthiness for the defensive end position. Johnstone in 2013 when Oregon faced Virginia. 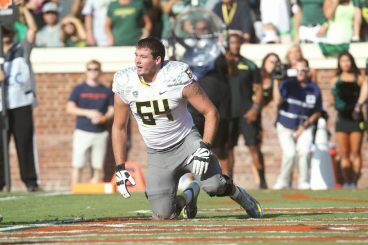 At the beginning of the 2014-2015 season, one major concern was at the left tackle position as Johnstone tore his ACL for the second time during his time with Oregon. Fisher was able to fill the void for the season, but now Johnstone will once again need to earn his way back into the lineup. Throughout his career with the Ducks, Johnstone has established himself as a fantastic player who blocks well and serves as a leader for the offensive line. Currently, none of us know whether Johnstone will participate in spring practices; however, in order to once again establish his presence on the team, his attendance is mandatory. As both CB Troy Hill and Ekpre-Olomu pursue their careers in the NFL, Oregon will need to figure out the next players who will fill these voids. Look no further than Springs, who was ranked as the No. 7 cornerback in the 2014 class. Don Pellum, the Ducks’ defensive coordinator, admires the athleticism of Springs and strongly believes he’s a talented player. Spring practices will be a perfect time for him to impress his fellow players and coaches, which will ultimately allow him to earn one of the starting cornerback roles for next season.